Nebraska football fans will still be savoring the Cornhuskers’ win over Miami last week, but by this stage will already be worrying about facing Illinois on Saturday. Not about the Illini themselves, of course, but about how Nebraska could be overlooking Illinois in preparation for a monster game against Michigan State the following week. Of course, if Nebraska stubs its toe against Illinois on Saturday, that game in East Lansing won’t be nearly as monster as it would be otherwise. 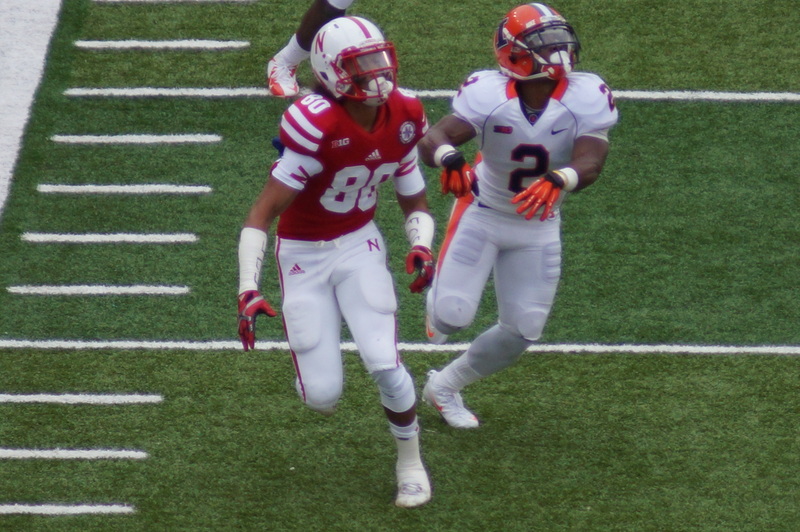 So how will Nebraska stay focused and get the job done on Homecoming against Illinois? Yes, Illinois is 3-1, but that’s with needing comeback wins over football powerhouses like Youngstown State, Western Kentucky, and Texas State. So it would be easy to dismiss Illinois as a cakewalk for Nebraska after a big win against a talented (if undercoached) Miami squad. But Illinois has talent. Quarterback Wes Lunt, a transfer from Oklahoma State, has a big arm—maybe the best raw talent at quarterback Nebraska will face all season. While Illinois has much poorer talent at both receiver and offensive line than Miami, Lunt will make throws and ask questions of Nebraska’s secondary. And Josh Ferguson has the potential to be a big-time back in the Big Ten. The junior is averaging 6.38 yards per carry with three touchdowns in four games (courtesy of cfbstats.com). He’s no Duke Johnson from Miami, but Ferguson has plenty in the tank to give the Blackshirts problems. And when combined with Lunt’s arm, Illinois’ offense can carry a one-two punch that could threaten Nebraska if given an opportunity. Bo Pelini and the coaching staff will surely point this out to the Blackshirts this week in practice, which should get their attention. In fairness, other than Miami, McNeese State might be the most talented team Nebraska has faced in 2014. And yes, that as much an indictment of Florida Atlantic and Fresno State as it is a compliment to the Cowboys. But at the end of the day, McNeese State and Nebraska were tied with 20 seconds to go in the game, and it was only a miraculous (perhaps Heisman-esque?) play by Ameer Abdullah to spare NU’s blushes at home. After the contest, Nebraska knew it dodged a bullet. Abdullah said that the team “didn’t respect the game,” in preparation for the Cowboys (as quoted by Brian Christopherson of the Lincoln Journal-Star). And in the next two games, against Fresno State and Miami, Nebraska has looked sharper and more focused, perhaps taking Abdullah’s advice to heart. After his performance against Miami, Abdullah and the coaching staff should have the team’s full attention, making a letdown against Illinois less likely. In addition to a bizarre 8:00 p.m. kickoff time, Nebraska will be breaking out the alternate “Red Rising” uniforms against Illinois. While the alternate uniforms haven’t always been a success (see UCLA last season), as a fan of the superhero costumes I can only hope that Nebraska will find success with the cool threads and avoid further superstitions. After all, it took seven years for Nebraska to break out the “Stormtrooper” all-white look against Fresno State this year. The convincing win should, hopefully, wash away the taste of the “surrender white” look Nebraska had in Bill Callahan’s last game, a loss to Colorado in Boulder. One can only hope that the extra juice of coming onto the field in alternate uniforms will help sharpen Nebraska’s play on Saturday night. For a different look at Nebraska football, check out The Double Extra Point. Or you can use the Twitter machine to follow @DblExtraPoint.